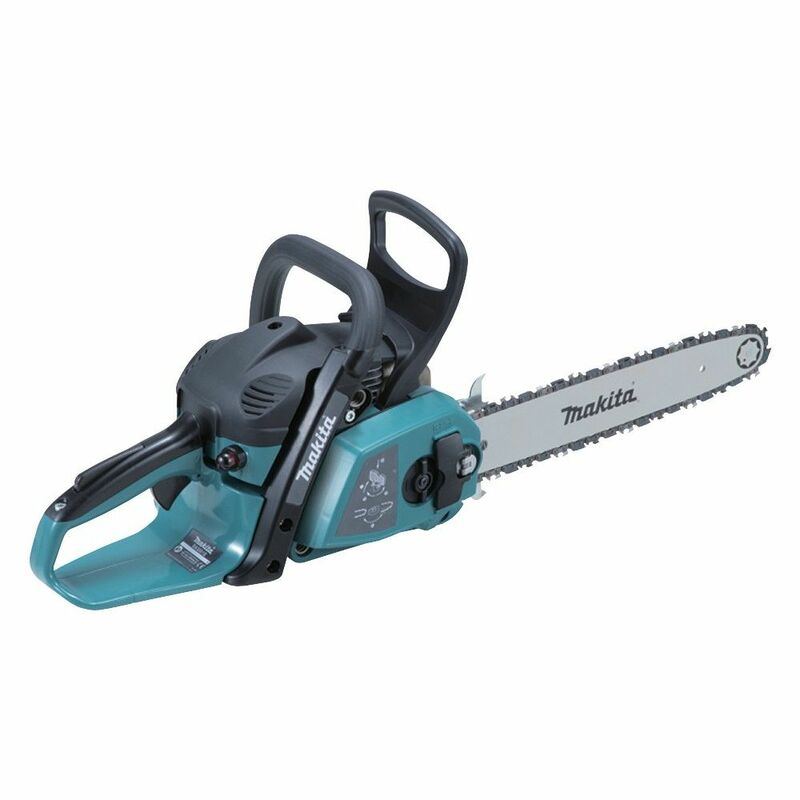 The Makita EA3201S35B is an entry class Chain Saw with catalytic converter and anti-vibration design and an environmentally friendly 2 stroke 32cc engine. Light and compact, this small modern chainsaw has it all. Noise and emissions are as low as possible and with a powerful 32cc engine it has the grunt to tackle big logs. Nimble and maneuverable for tight spaces. Light enough to operate for long periods without fatigue. Touch and stop switch a light touch on the switch stops the engine, and the switch returns automatically to the start position, eliminating flooding of the carburettor.